River Custom Canvas, LLC is proud to be a member of the Clayton Chamber of Commerce. 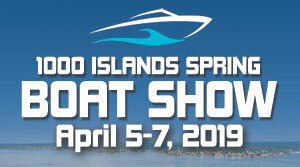 Come visit us at the Clayton Boat Show April 5th-7th 2019. We expect to be located in the town maintenance building next to Spicer Marine Basin and Whites Lumber. We will have samples of both AquaMat carpeting and Luxury Woven Vinyl flooring as well as varius fabric samples. Hope to see you there! We have had a great winter break and are excited about the upcoming 2019 boating season. We expect to be open for business again by the first weekend in April. Projects are already stacking up, so please call us at 315-480-5885 if you want to get on the spring schedule. 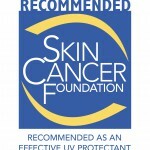 If you had work done by us last year we would appreciate a review on Yelp to help our listing grow. Thank you for your business, see you on The River! 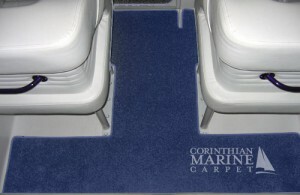 River Custom Canvas, LLC is an authorized dealer for Corinthian Marine Carpets in the Thousand Islands area! We install custom AquaMat snap-in carpeting and carpet mats with AquaLoc and Hydrofelt water repellant backings. These custom made carpets will be bound and can be installed with or without snaps! 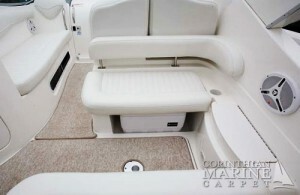 In addition, we will have a full line of glue in marine carpeting available for interior or sidewall use. There are several new materials and backings available today to give your boat that fresh new look, please stop by this spring to look at the sample materials we have available. We are here for all your boat canvas and boat carpet needs! There are a lot of variables to consider other than just price when selecting the right canvas shop to work on your boat. 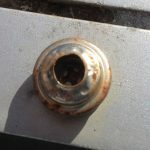 The methods and materials used very greatly from shop to shop, and those choices not only affect the price you will pay, but also how long it will be before you will have problems or need replacement or repairs. One midweek day early last summer Barbara and I walked a few marinas and looked at the various canvas jobs and enclosures on the boats. We saw a few factory jobs on newer boats, but most of the boats in the Clayton NY area are older and had replacement tops and windows done by various canvas shops. The diversity of the manufacturing methods and the materials used was shocking, and while they looked ok from 50 feet away, the low budget jobs stood out in the crowd upon closer inspection. What we saw was that many were made using the cheapest possible materials and methods for fast production and a low manufacturing cost. The end result is canvas that will need to be repaired or replaced well before its recommended lifespan, which in the thousand islands area should be at least 10 years. While most shops are using Sunbrella, there’s a lot more to a canvas project than just the fabric itself. One of the easiest short cuts to hide is simply by using the cheapest thread possible. 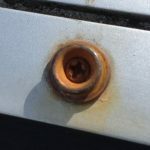 The end result is canvas seams that rot in about 4 years and require major repairs. An 8oz spool of thread can vary in price from $30 to $200 depending on what is used. The higher quality threads are often harder to sew with and add time to the job, hence the reason a shortcut may be taken using cheaper materials. Next is how the canvas was seamed and how it was cut. The right method is to use a hot knife to cut the fabric and melt the seam so it doesn’t fray and to double stitch a seam when two panels are joined together, which is how most tops are made. Other considerations include what’s used for facing, which is the inside 1 ½ inches of fabric around the perimeter of canvas and vinyl windows. Was it custom cut or is it lapped over and sewed down around curves or pieced together using small scraps? Did they use actual facing made from fabric or did they use webbing? Did they reinforce the stress points? Then of course there is the vinyl used in the windows. 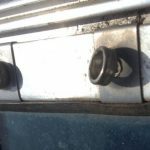 While many of the smaller boats do very well with the cheaper products that are easy to rollup in our climate, many boaters demand a crystal clear wrinkle free product and there are huge differences in those prices. If it wasn’t discussed when your job was quoted, you are probably getting the low end of the product line. And lets not forget about framing, the base of your entire enclosure. The choices vary from those made with cheap aluminum using plastic fittings to stainless steel frames in a variety of thickness, grades and tube sizes. So if you’re shopping for replacement canvas and are only focused on price and finding the cheapest shop, you will most likely get exactly what you paid for. River Custom Canvas is committed to providing the highest quality manufacturing methods using only high quality materials that will last. We take the time to explain the differences in our manufacturing and give our customers several options to choose from when quoting a project, but we will always maintain a higher standard in the actual production methods. The end result is a beautiful finished project that will last for years with proper care and maintenance. We are located in the heart of the 1000 islands in Clayton, NY. Our target markets are Clayton, cape Vincent, Alexandra Bay, Watertown, and the surrounding areas in Jefferson County. River Custom Canvas is proud to be a member of the Marine Fabricators Association. The MFA offers many resources, training opportunities and certifications to it’s members. We are committed to the highest quality fabrication and exceptional customer service. River Custom Canvas, LLC is proud to be an authorized Sunbrella fabricator, and we have access to the whole line of Sunbrella products. Sunbrella is the #1 trusted name in marine fabrics. Because Sunbrella fabric is woven for breathability, it doesn’t trap heat and moisture, eliminating mildew. As a result, Sunbrella stays fresh and beautiful season after season. In addition to longevity and durability, Sunbrella fabric also provides protection from the sun so you can enjoy long hours on the water. 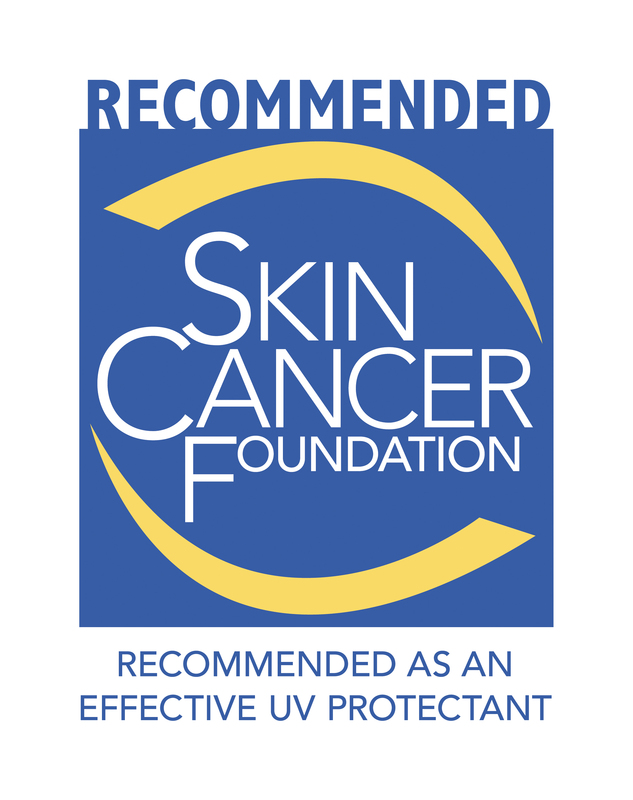 Sunbrella fabrics carry the Skin Cancer Foundation’s Seal of Recommendation, giving your family and friends the extra assurance they need. With a protective enclosure made of Sunbrella fabric, you can make use of your boat earlier in the spring and later in the fall, extending your enjoyment and maximizing your investment. 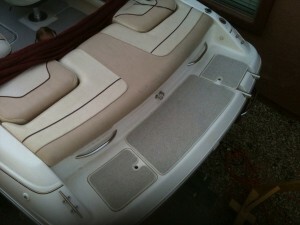 We are focused on providing custom boat canvas to our clients in Clayton, NY and Thousnad Islands region. Please Contact River Custom Canvas, LLC to discuss your boat canvas needs!